We custom corporate projects. 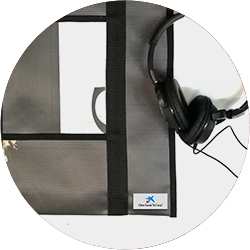 You can give a second life to the publicity material of your company and we make bags and accessories, which you can sell or give to your customers or members of your team. We recover publicity banners and advertising campaigns or those of our own stock of other campaigns. 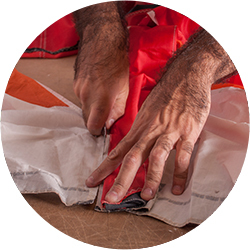 We can also use innertubes, sales or kitesurf kites. The products can be customized with your logo. 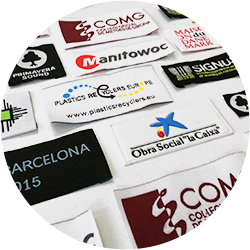 We make a corporate textile label of the size and colors that you want and we sew it wherever you like. 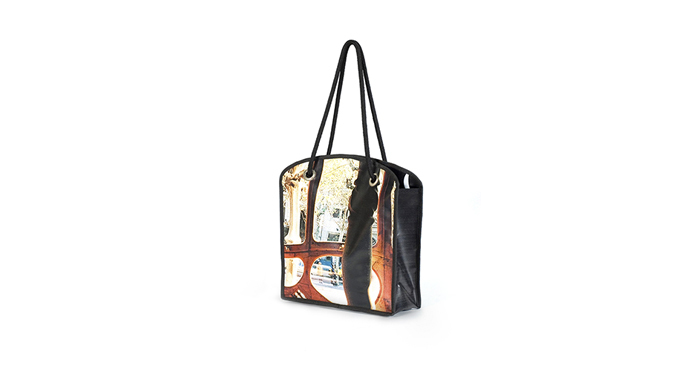 You can choose any bag or accessory for our collection. We can also make a special design to adapt to your idea. The production time is approx. 3-4 weeks since the material is in our warehouse until we send the finished product. 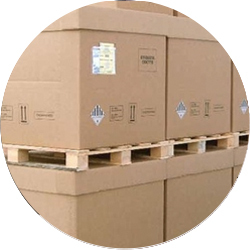 We pack and label the product according to our instructions. And we send it to any part of the world. Special serie of messenger bags and briefcases. 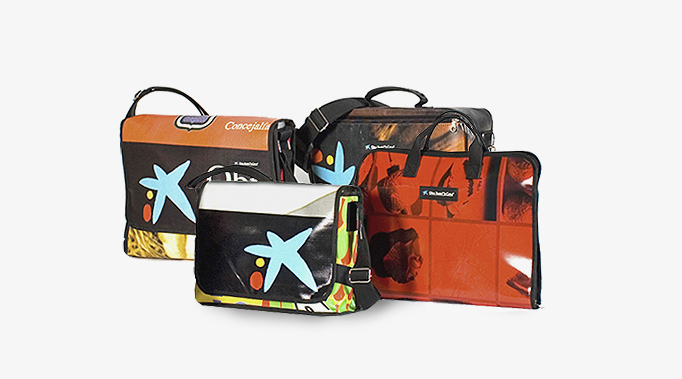 Manufactured from the campaigns of CosmoCaixa and Caixa Forum, and customized with the client's logo. 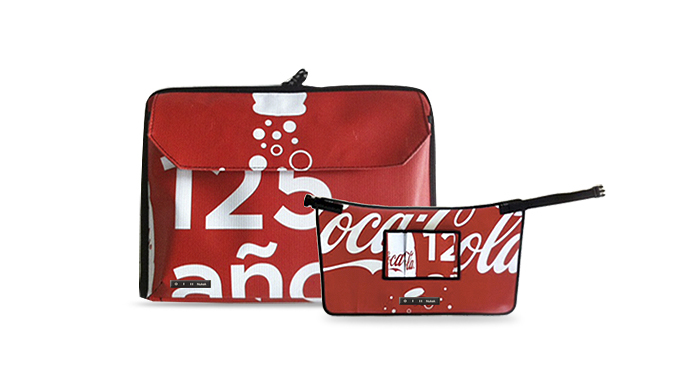 Special design of briefcases for commercials and aprons for bars and restaurants distributors. 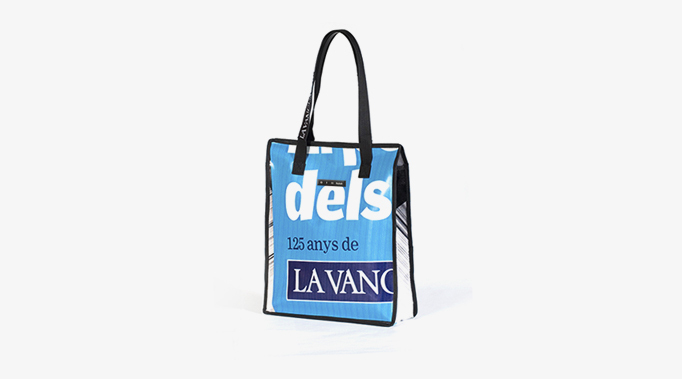 Tote bags manufactured with advertising campaigns sponsored by a customer. Gift for new newspaper subscribers. 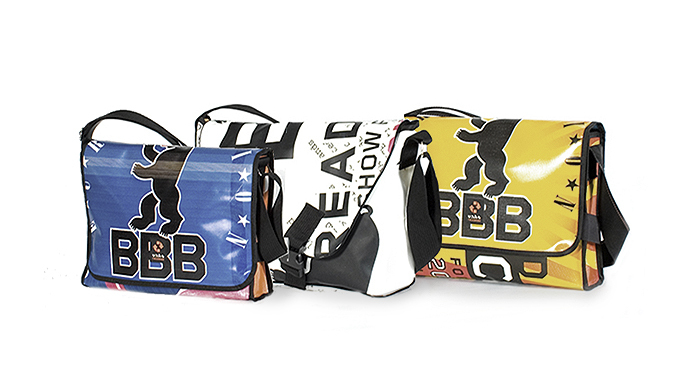 Several models of handbags made with Bread and Butter fair campaigns. 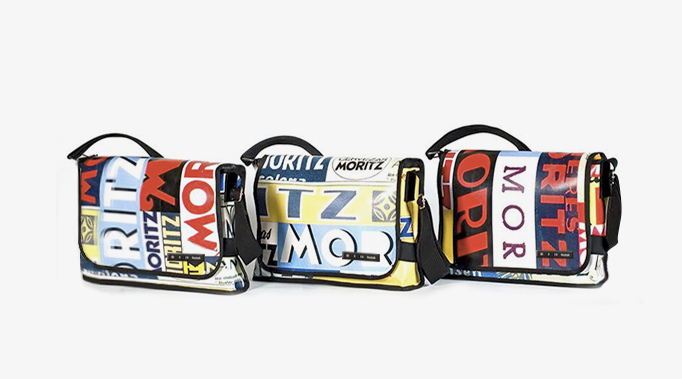 Each edition sold as part of the merchandising handbags made with the banners of the last edition. Messengers with the size a briefcases with elastic rubber closure. Made to sell in the M-Store of the Moriz Factory in Barcelona. 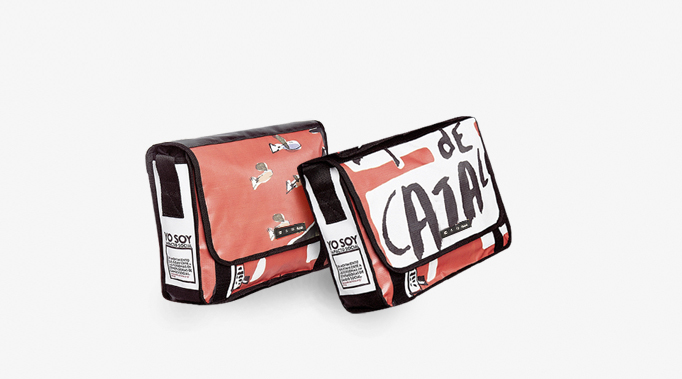 Tote bags made from a communication campaign of La Casa Batlló. They were sold in the museum store.